Accredited by the Commission on Accreditation for Health Informatics and Information Management Education (CAHIIM), the Blinn College District Health Information Technology (HIT) Program offers a variety of degree, certificate, and occupational skills award plans to fit your needs. The HIT AAS degree, Medical Billing amd Coding Specialist certificate, and the OSA in Health Information are completed entirely online. All programs plans will require students to complet a clinical at a healthcare facility. The Blinn HIT Program prepares graduates to perform technical duties that are essential to health information departments in any type of healthcare facility. HIT professionals organize, prepare, analyze, and maintain patient’s health records. 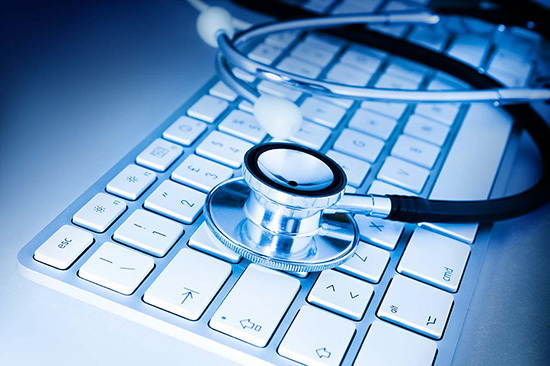 Students who complete the Blinn HIT Program can pursue a Bachelor of Science in Health Information Management and master’s degrees in health information management and health informatics. Graduates who successfully complete their HIT AAS degree are eligible to sit for the Registered Health Information Technician (RHIT) certification exam credential offered by the American Health Information Management Association (AHIMA). Graduates who successfully earn their Medical Billing and Coding Specialist certificate can sit for the Certified Coding Associate (CCA) or Certified Professional Coder (CPC) credential offered by the American Health Information Management Association (AHIMA). Students who complete Blinn’s HIT Program are prepared for careers as HIM technicians, coders, documentation specialists, revenue cycle specialists, credentialing specialists, birth certificate specialists, inpatient or outpatient coders, billers, HIM technicians, patient advocates, chargemaster specialists, DRG auditors, patient access associates, insurance specialists, and revenue cycle specialists. According to the U.S. Bureau of Labor Statistics, employment of health information technicians will increase 13% between 2016 and 2026, generating an additional 27,800 jobs. Health information technicians earn a median salary of $39,180. Blinn’s HIT AAS degree and Medical Billing and Coding Specialist - Level 2 certificate are available entirely online. ¹Students will have the knowledge and skills to pass the Registered Health Information Technician Exam administered by the American Health Information Management Association. ²Students (full- and part-time) who do not continue with the Health Information Technology Program each semester (reasons vary greatly). ³Graduates will have a positive placement by working in the health information technology or related field. Some students choose to continue their education or not seek employment. The Blinn College District Associate Degree Health Information Technology Program is accredited by the Commission on Accreditation for Health Informatics and Information Management Education (CAHIIM) (www.cahiim.org) 233 N. Michigan Ave, 21st Floor, Chicago, IL 60601-5800, 312-233-1100. The Blinn College District is accredited by the Texas Higher Education Coordinating Board (THECB) and the Southern Association of Colleges and Schools (SACS).